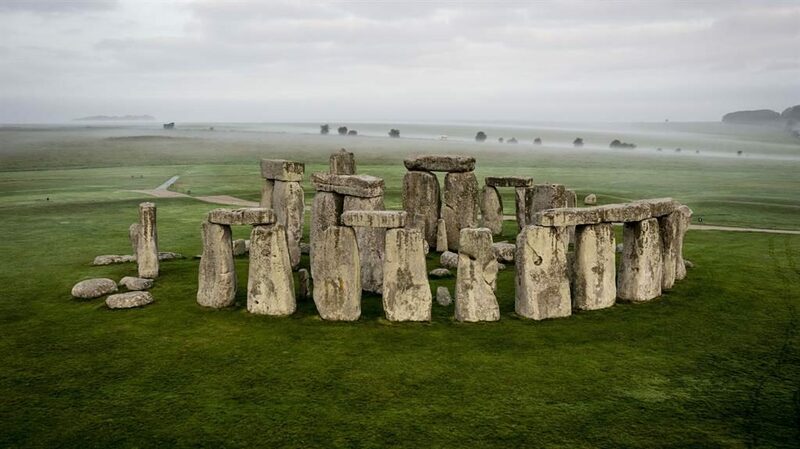 TOP archaeologists have cried foul over plans for a road tunnel near Stonehenge. The group of 22 experts warned that the plan to move an A-road underground would destroy important archaeological remains. The tunnel, part of the £1.6billion upgrade of the A303 in Wiltshire, aims to restore the tranquil setting of the stone circle and reconnect the landscape. A new dual carriageway is planned to closely follow the existing A303, with tunnel entrances within the World Heritage Site. But the academics said the tunnel’s western entrance would damage Stone Age burial monuments known as long barrows, and the new road would cut across a settlement dating from the building of the stone circle. The eastern entrance and a proposed flyover could affect groundwater conditions that would harm important hunter-gather remains at Blick Mead about a mile away. The archaeologists said techniques were radically changing and new and astonishing finds were being made. ‘The A303 proposal is a sad and retrograde step,’ they said. ‘Instead of respecting the World Heritage Site as defining the area to be protected, it recognises only the land which is visible from the stones themselves. ‘We have come to understand that Stonehenge is a whole landscape extending to the horizon in most directions and even beyond.’ They called for the tunnel to be much longer or the road to be routed to the south of the site. Prof David Jacques, who has led the work on the Blick Mead site, said it was ‘is starting to tell us the story of the earliest phases of occupation in Britain and the Stonehenge landscape after the Ice Age’.